Edakumeri is situated in the dense green forest rightfully called as the Green Route from Sakalesh Pura to the Subramanya Railway station. 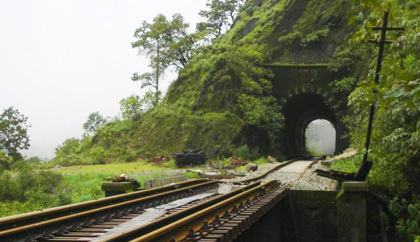 The railway track stretches through the think forest for about 52+kms with 50 odd tunnels and bridges along. Trek route takes to Edakumeri for one night stay. Another night at Donigal. Places to visit near by are Kukke Subramanya, Kumara Parvatha, Sakalesh Pura.